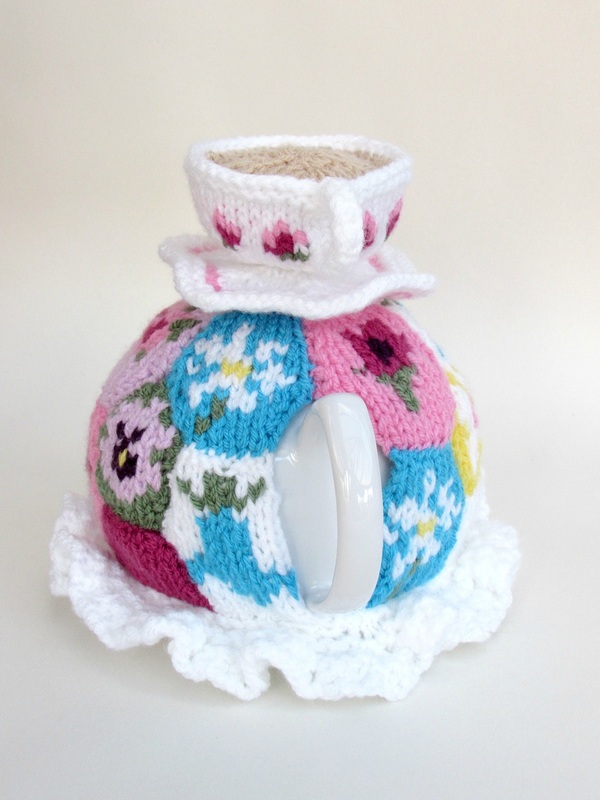 There are enough granny tea cosies out here without another one, so this granny tea cosy has got a modern twist with a nod to chintz. 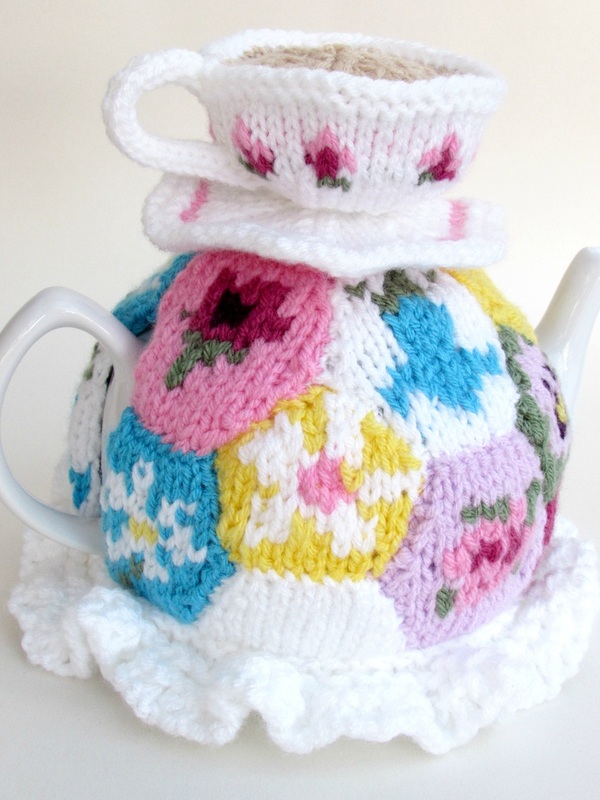 The main part of the cosy is a patchwork tapestry of intarsia, (or you could swiss darn if you prefer). 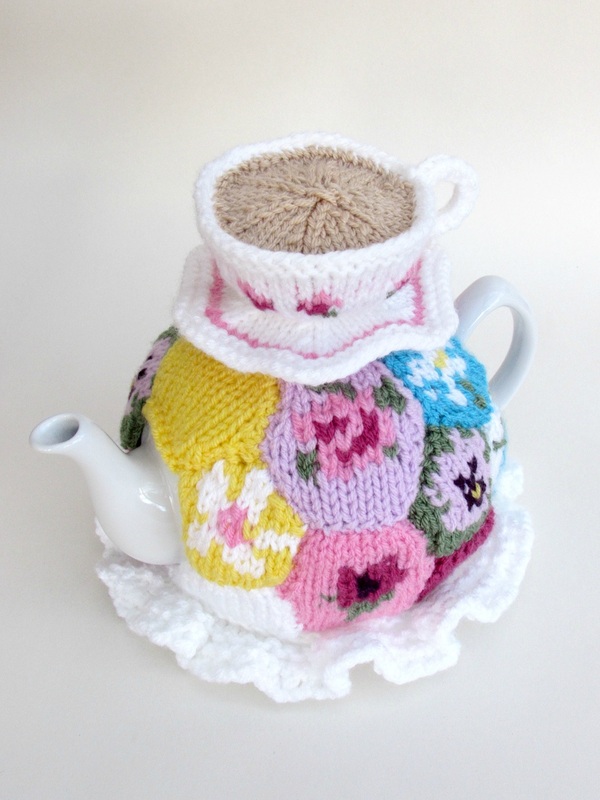 The little shapes depict British flowers, lilies, pansies, Campanulas, roses, daisies and Anemones. 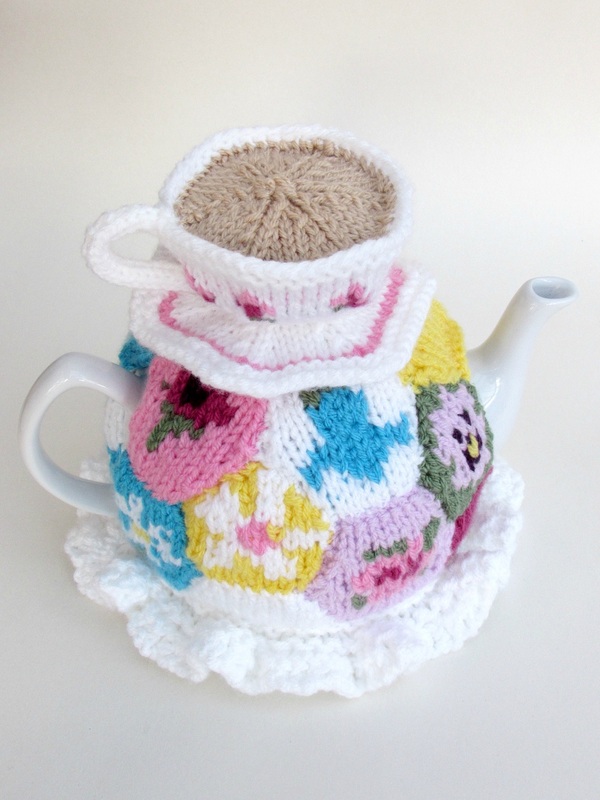 The suggested colours are Stylecraft special DK shades, but the colour of the flowers could be anything you like and in true patchwork ethos, you could use your yarn leftovers to create something new and beautiful. 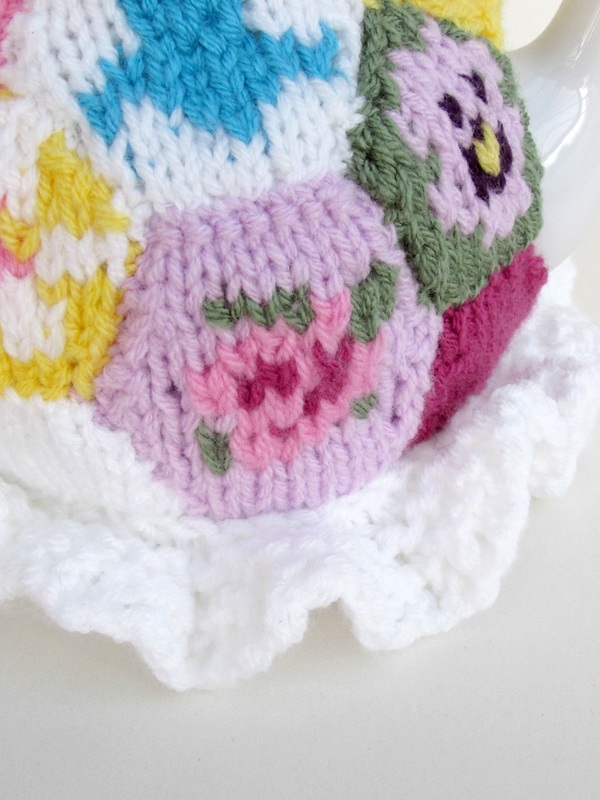 Another nod to granny style is the lacy frill at the bottom of the cosy. 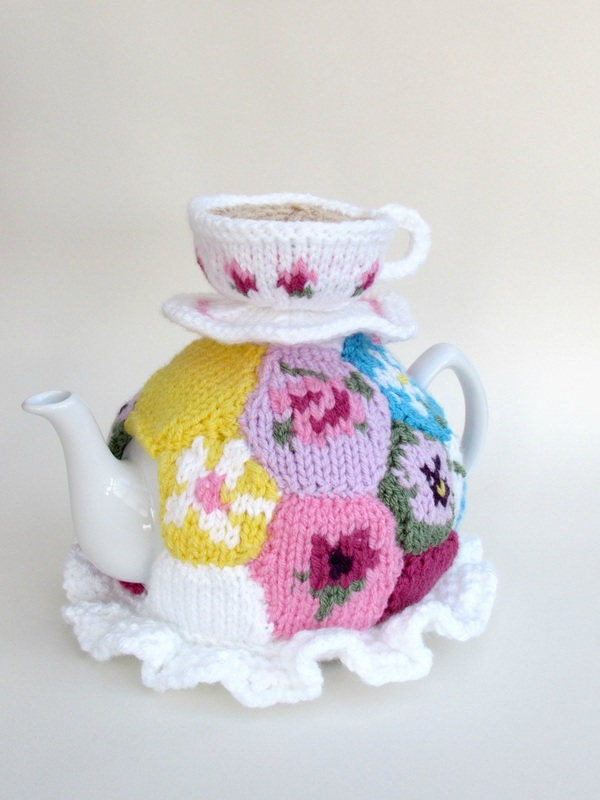 It gives the cosy a real sense of chintz. 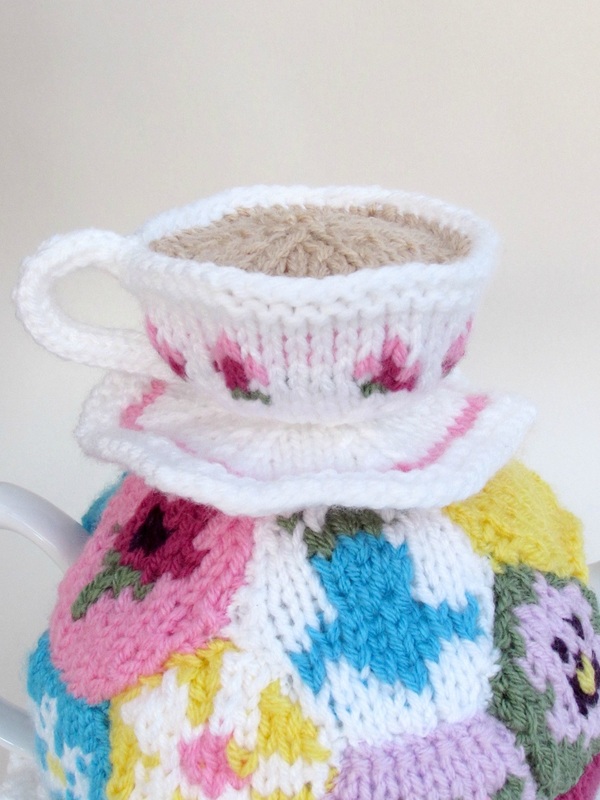 On the top of the tea cosy is a cup of tea in a knitted, china cup. 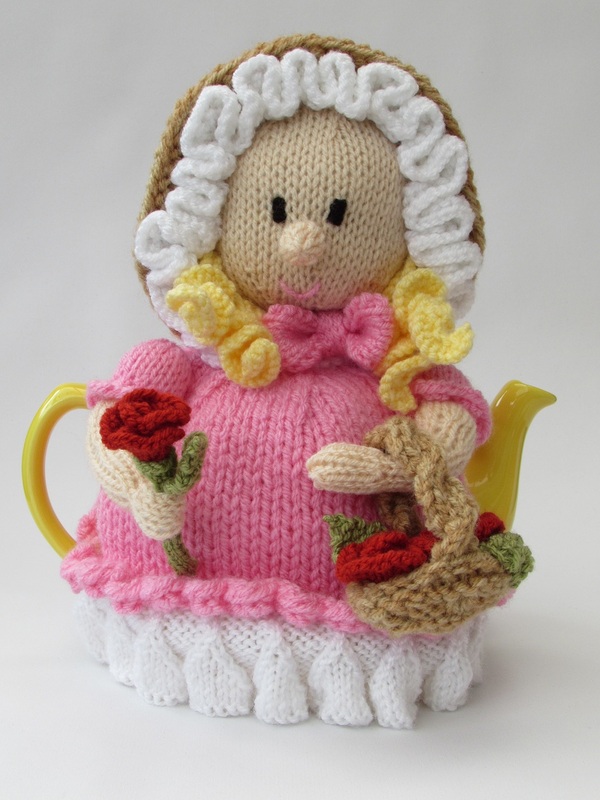 The cup is embellished with a pink rose design, and the tea fills the cup. 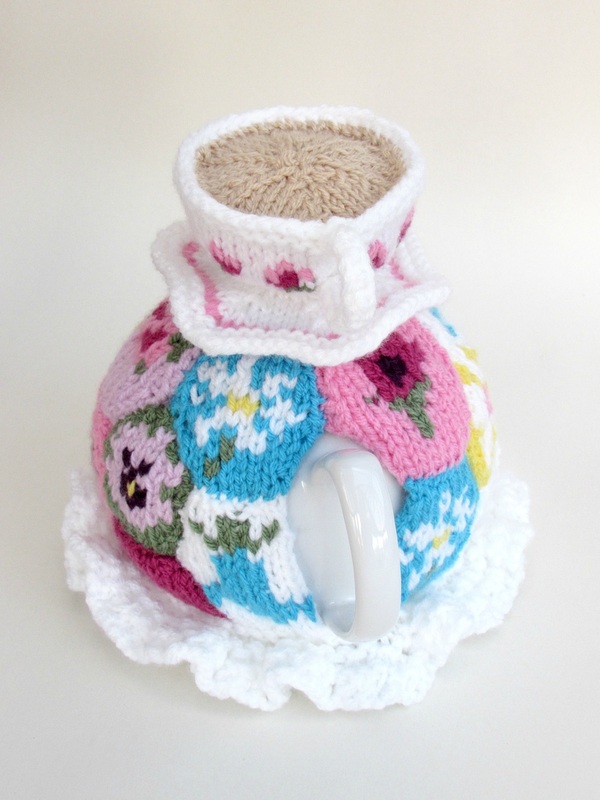 The tea cosy is fun to knit with all the separate components, each one a mini work of art. 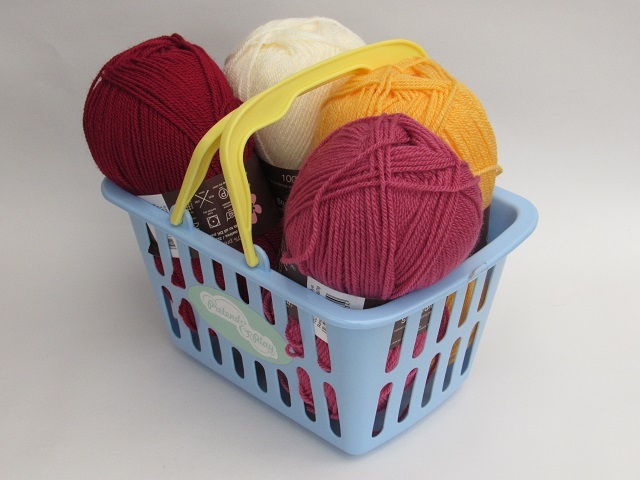 The construction of the main cosy comes together like magic. 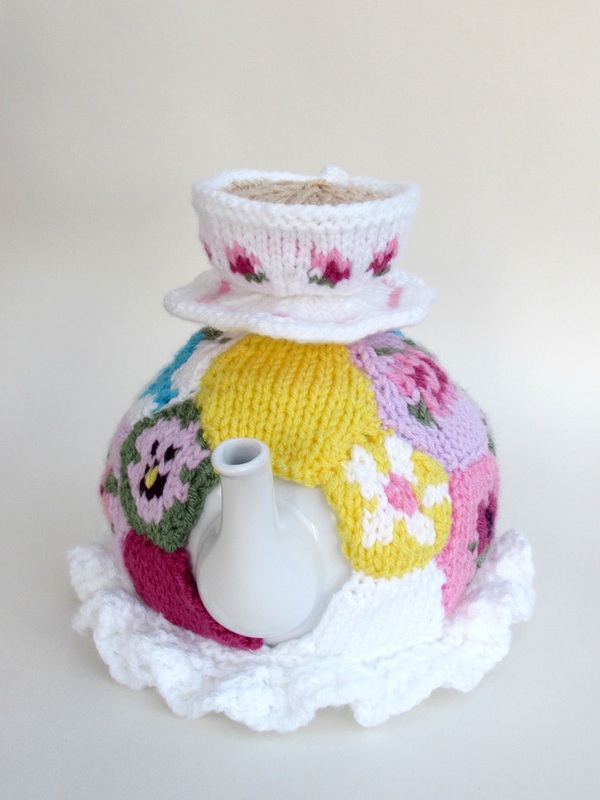 Inspired by footballs, the patchwork consists of pentagons, hexagons and half hexagons and it shaped the cosy to a dome shape, which is perfect to cover a teapot. 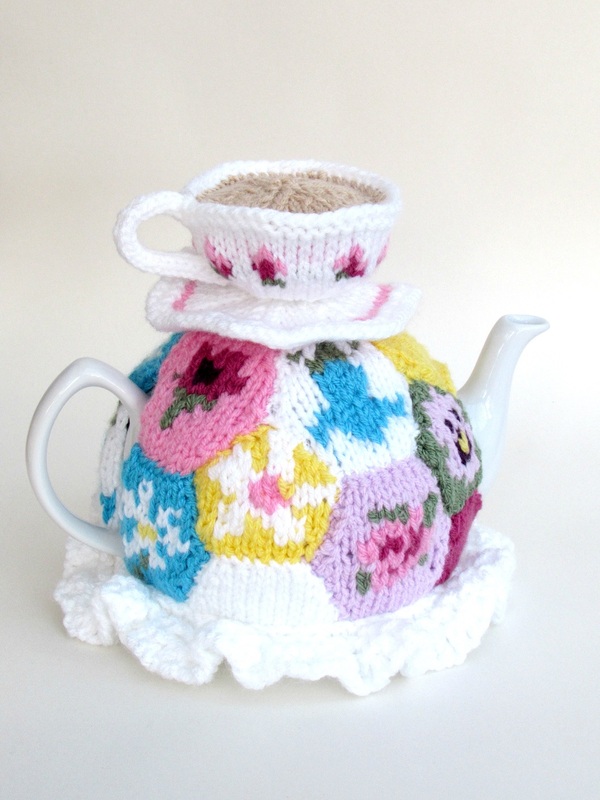 I’m sure any granny would be proud to have a tea cosy like this, it has a real cottage feel, and is a little bit reminiscing of by gone days when patchwork was a necessity rather than a fashion style. 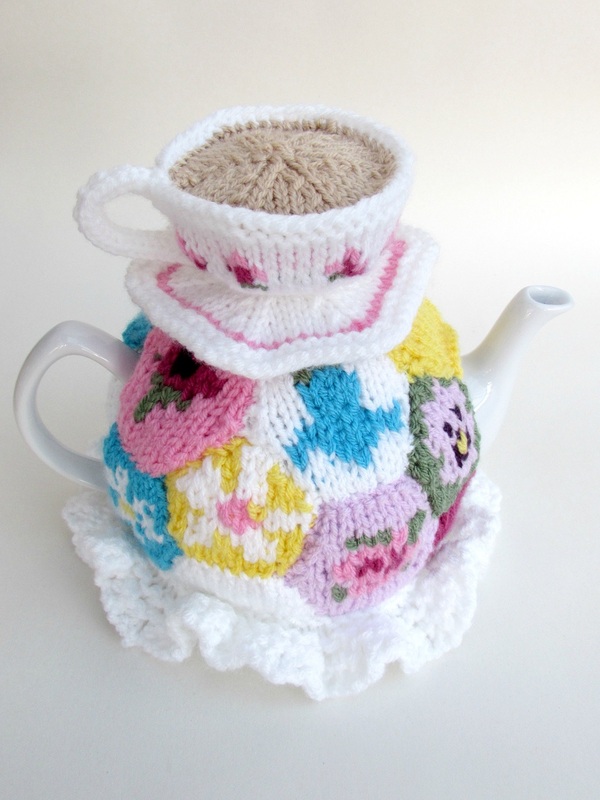 Full instructions are given of how to knit the tea cosy over a 5-page pattern including charts for the intarsia work and a map of how to assemble the parts to make the patchwork cosy. 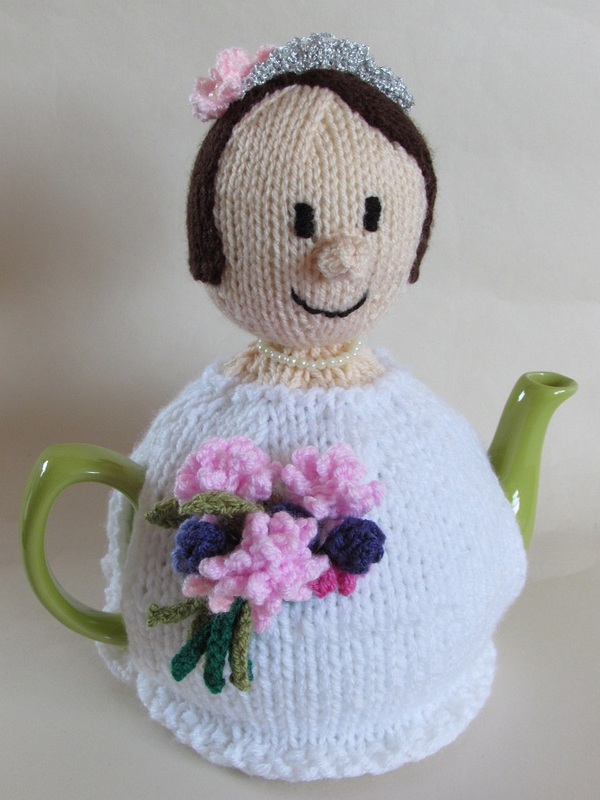 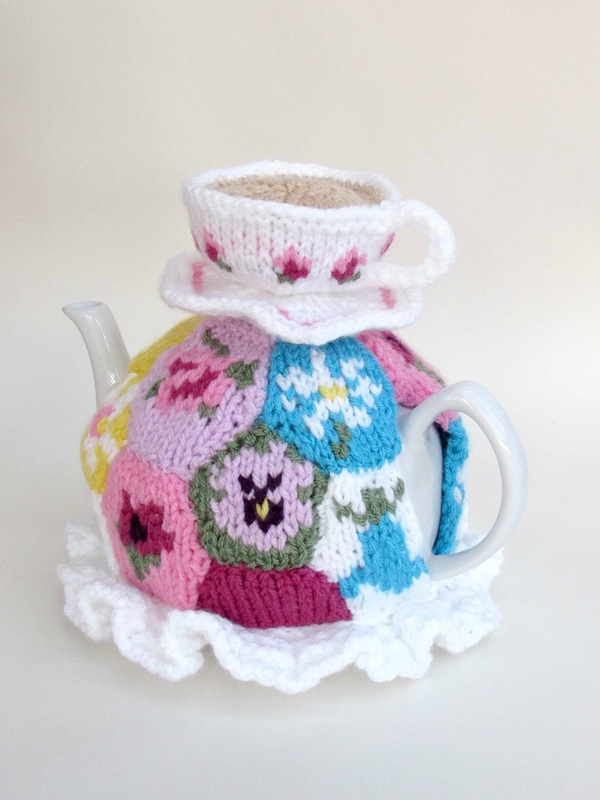 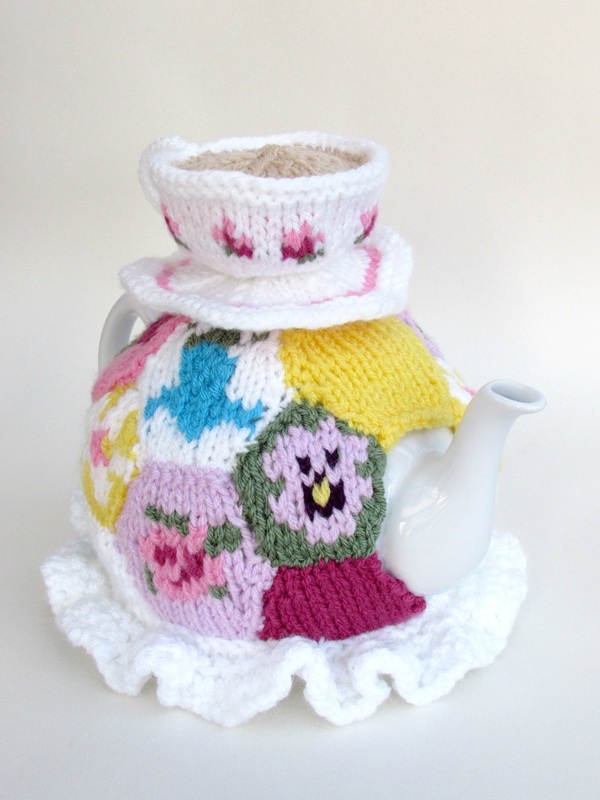 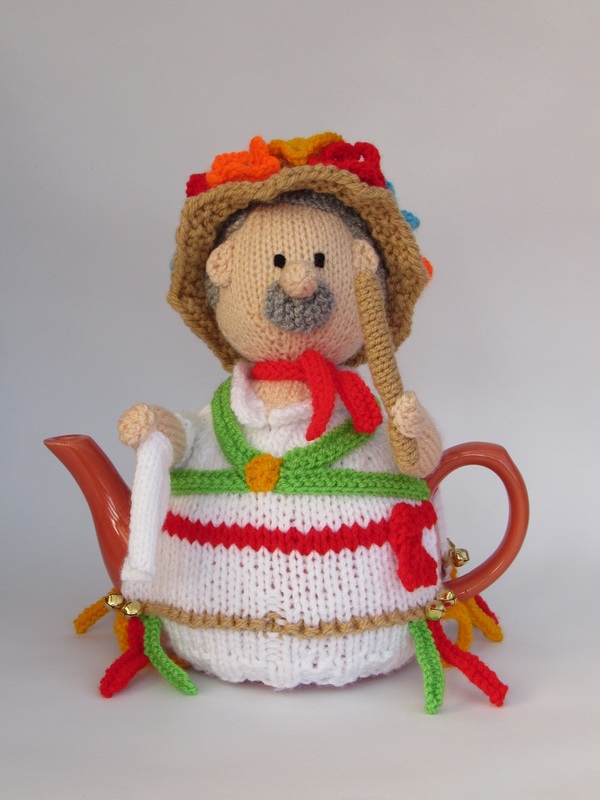 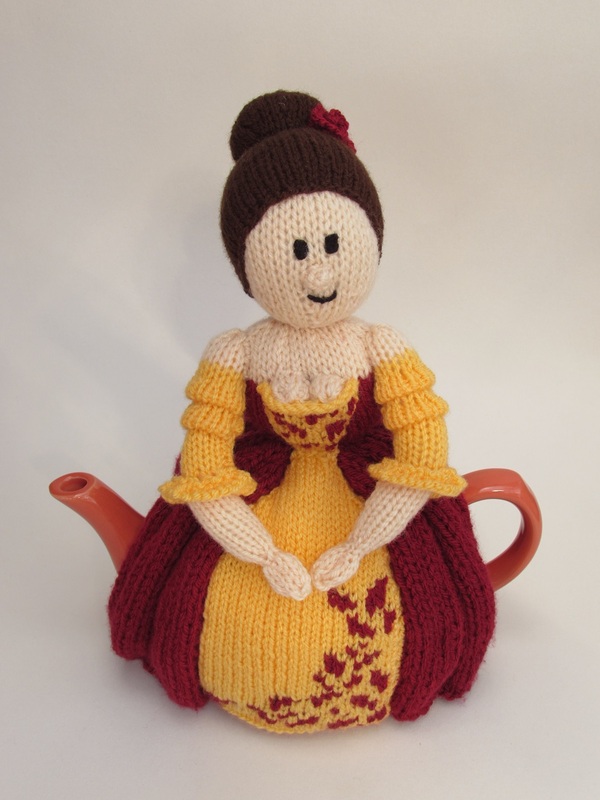 This tea cosy is a large sized cosy that covers a teapot that holds 10 cups of tea.